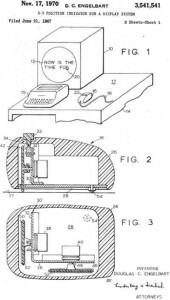 Douglas Engelbart receives US patent 3,541,541 for his “X-Y Position Indicator For A Display System”, more commonly known as the computer mouse. 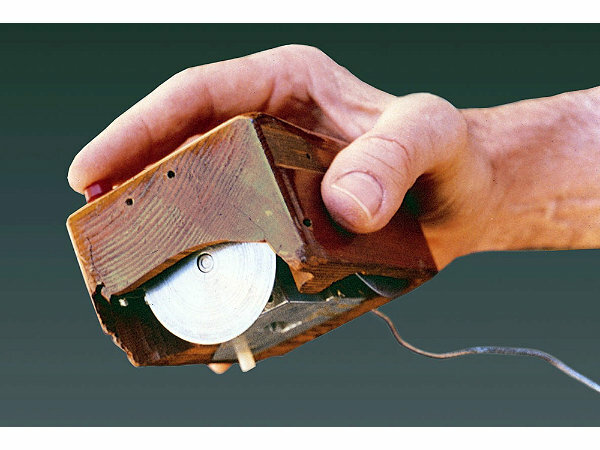 Engelbart called his device a “mouse” because the cord looked like a tail. 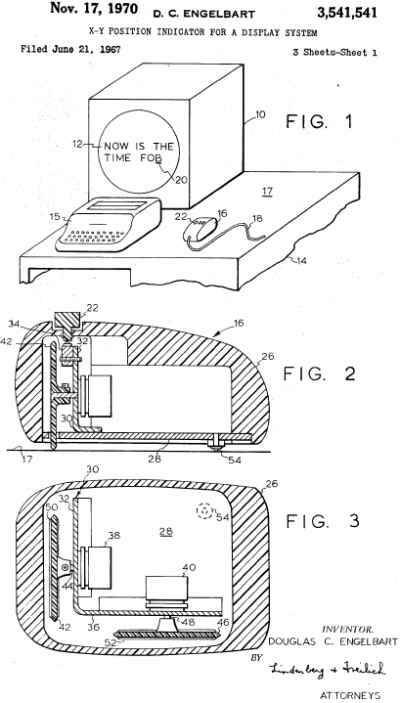 The mouse was first prototyped in 1964, but wasn’t demoed until 1968, and was not included with a commercial computer until the Xerox 8010 Star Information System in 1981. Apple first brought the mouse to a personal computer with the Lisa in 1983. However the mouse did not become ubiquitous until after 1984, when Apple’s Macintosh popularized the device.